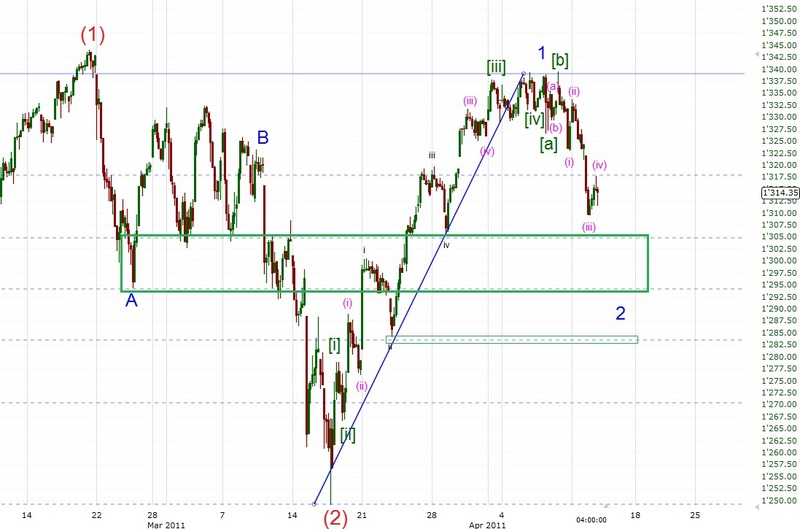 As said earlier today my preferred target for wave 2 is the 1300ish area (between the 38 and 50 % retracement). Maximum retrace for this second wave is 1284ish (62 %). 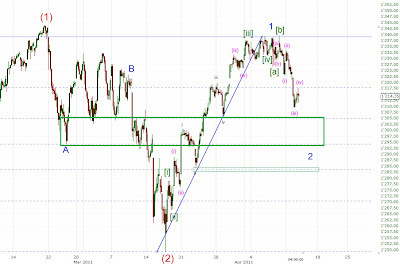 If the market declines below that level a sell off down to 1250 or even to 1220 is very likely. The potential inverse H&S is still very speculative but a decline to ES 1295ish would make a very nice right shoulder, wouldn't it?